A 4.5 mile hike led to a viewpoint overlooking lava from Mauna Loa flowing into the ocean. 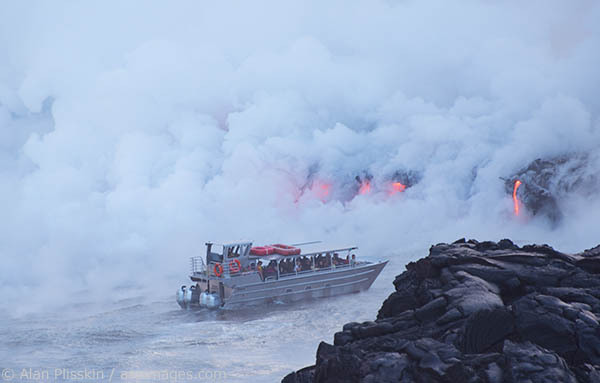 A boat got close to the lava flows dropping down 30 foot cliffs. Two weeks later, 24 acres of newly formed land fell into the ocean including the very spot I was standing here.